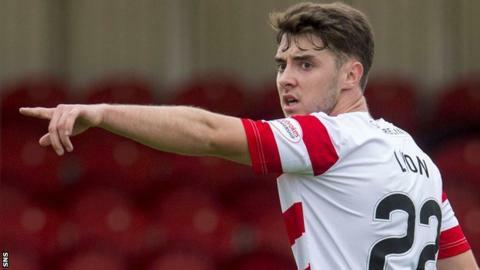 Hamilton Academical midfielder Darren Lyon will be missing for a further six weeks following knee surgery. The 20-year-old has not played since Accies beat Kilmarnock in late September. However, player-manager Martin Canning insists Lyon's injury is "not a major thing". Danny Redmond is nearing a return from a hamstring injury but will not be ready in time to face Hearts on Saturday. Another midfielder, Grant Gillespie, who was booked against St Johnstone last weekend, is suspended for the trip to Tynecastle. "People are always going to look at it and say, 'Hearts are doing well, they are a big club'. We have obviously lost on Saturday, small club, so naturally Hearts should win'," added Canning. "But that's not the way football works. We know if we work hard and give it our all, we are as capable as anybody of going there and getting three points."